Fire dancing is an art form which integrates items on fire into a dance or performance. Many cultures have practiced fire dancing in various forms, and fire dancing arts are growing very popular in the West, where many people are attracted to the combination of beauty and danger. When done properly, fire dancing is a spectacular thing to watch, and is usually performed at night so that audience members can see nuances of the performance. Responsible fire dancers take precautions to ensure their safety, along with the safety of others and the environment in general. The human fascination with fire has lasted for thousands of years; it can kill, cook, warm, light, and amaze, depending on the circumstances and level of control. Fire dancing is often compared to juggling, baton twirling, and gymnastics, and it does incorporate movements from all of these disciplines. In many native cultures, dancers would perform with flammable items at major ceremonies and festivals, and fire dancing became an important part of celebrating major events. 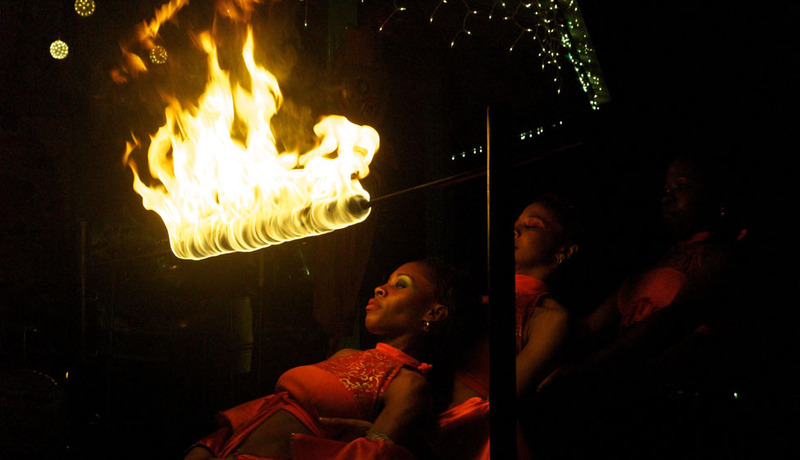 However, the stakes with fire dancing are high: if a performer drops a baton or is not paying attention, there can be a risk of serious injury.